About Us: Bottelsen American Dart Lines, Inc. 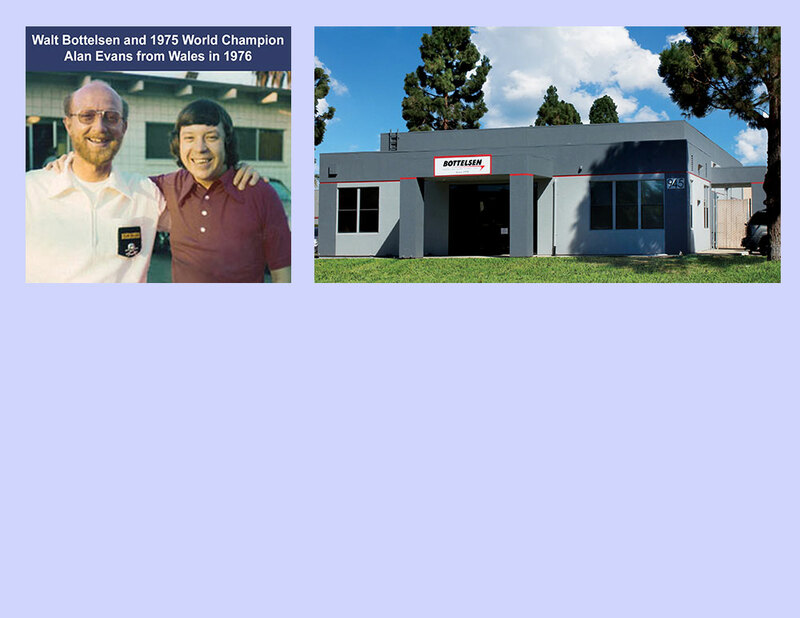 In 1976, Walt Bottelsen competed in an exhibition tournament at the Moose Lodge in Santa Barbara, CA with 1975 world champion Alan Evans from Wales. Tickets had been sold for this event, even the Mayor attended. In the final round, Walt bounced 3 darts that cost him the match. Walt was motivated to develop a dart that would not bounce out and spawned a revolution in dart technology. From his innovative engineering, the Hammer Head® No Bounce Dart™ evolved. Walt perfected professional dart designs, including the world record setting GT® and GT3® darts. He worked to perfect different weights, balance and grips for all who wished to have a precision throwing instrument. Bottelsen Darts and the Hammer Head® No Bounce Dart™ have become household names in the dart world. ABOUT BOTTELSEN AMERICAN DART LINES, INC.
Bottelsen American Dart Lines, Inc., one of the remaining dart manufacturers in the U.S.A., has designed and manufactured championship quality darts and accessories for over thirty years. In 1977, owner Walt Bottelsen revolutionized dart design with the invention of the Hammer Head® No Bounce Dart™. This dart virtually eliminated bounce outs. The Hammer Head® No Bounce Dart™ remains the standard of quality against which all other darts are measured. Four U.S. and World Champions used Bottelsen Darts in their championship competition. In 1998, Perry Prine broke the World Record for most bullseyes thrown in a 10-hour period, using Bottelsen Hammer Head® G.T.® darts! In 1998, 22 years after its invention, the Hammer Head® was chosen by the Wall Street Journal to be their Official Dart for the Wall Street Journals’ 100 Investment Dartboard competition. Holding more patents on darts and related products than any other company in the world, Bottelsen continues to lead in the research, design and manufacture of innovative darting products for both the professional and mass market!